It's a complete Ready2Go webinar! Turn your Ready2Go teleesminar into a webinar with the corresponding webinar slides for each Ready2Go teleseminar! 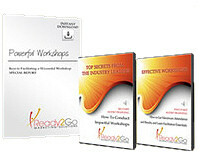 Each webinar product gives you access to webinar/powerpoint slides only, teleseminars are sold separately. *NOTE: Each webinar product gives you access to webinar/powerpoint slides only, teleseminars sold separately. Law of Attraction * Confident You! Others to Build Rapport * Say It Hear It! Teleseminars and Webinars are hot. Aside from speaking, teleseminars are one of the most effective ways to get in front of a group of people who have a need for your service, to gain exposure, deliver value, create relationships, and convert prospects to clients. But often, it’s difficult to take time away from your business to create a teleseminar, and then you have the problem of what to create it on. Turn your Ready2Go teleesminar into a webinar with the corresponding webinar slides! Each Ready2Go webinar is professionally crafted and designed to increase participants learning and understanding of the materials presented. All you'll need to do is download the file and present the webinar! You choose from a variety of compelling topics, customize and brand them as your own, and you are off and running! Fully developed teleseminar with agenda, teleseminar flow, all necessary content, instructions, scripting, participant exercises and handouts. Marketing guide with recommendations on how to effectively market your teleseminar including logistics on how to coordinate a seamless and successful program, professionally crafted promotional correspondence and a marketing timeline. Facilitation instructions for conducting a successful teleseminar including knowing your role, and tips on how to lead a successful teleseminar. Follow-up recommendations which includes ways to stay in touch, and a follow-up email. 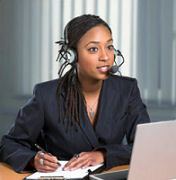 Teleseminars and Webinars are a Powerful Way to Communicate With and Effectively Sell to Your Clients and Prospects! Get yours today!